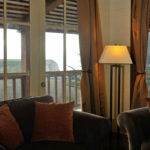 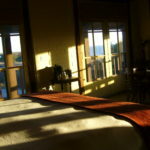 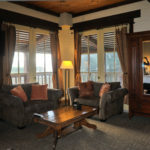 Room Details: Occupancy-2 adults, largest room, sitting area, 40″ HD-TV, ocean view, private bath with shower and bathtub. 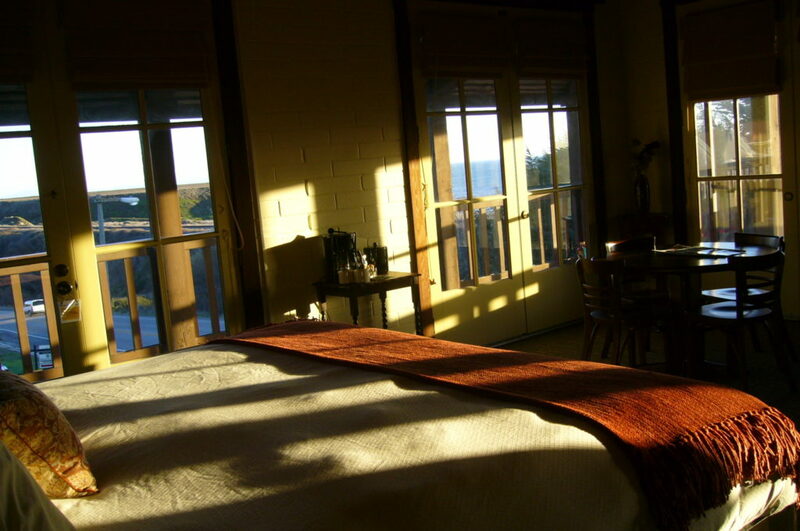 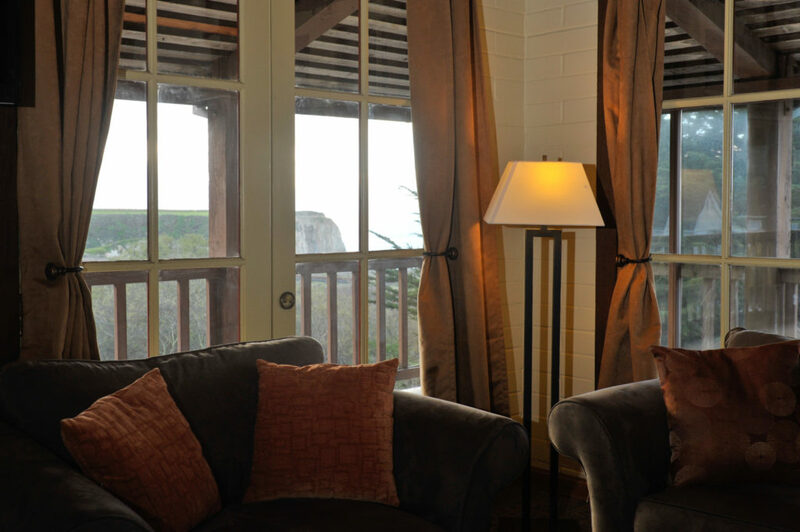 Located on the corner of our building, the Captain’s Suite is the largest room at the Roadhouse and features 180 degree views: southeast to northwest – visible through four large sets of French doors. 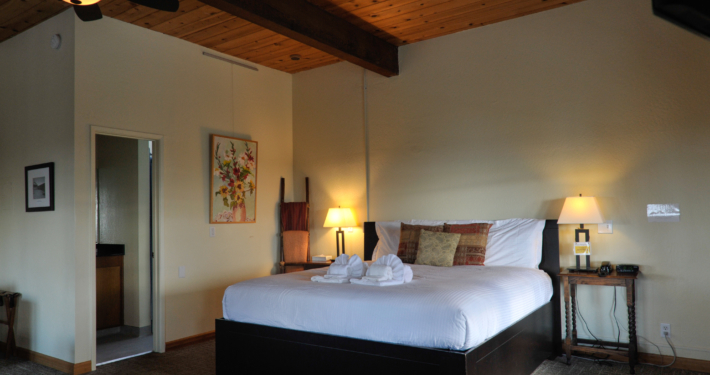 A King size luxury bed is situated to take advantage of the ocean view. 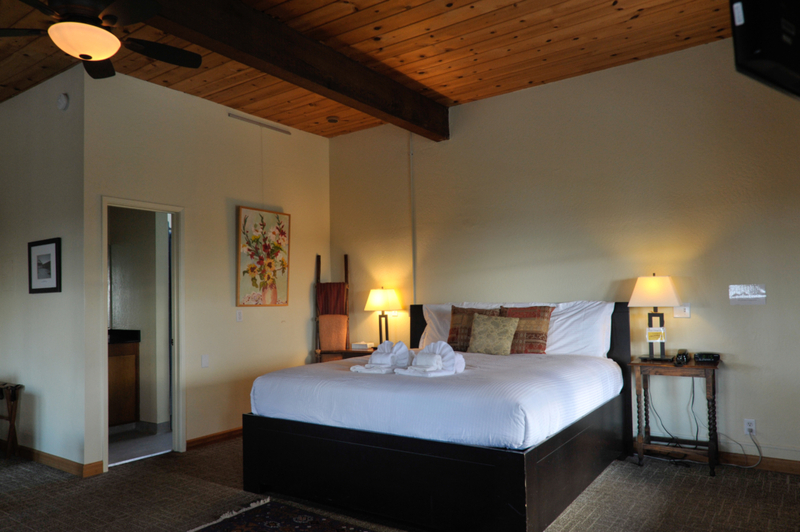 This room comfortably accommodates two adults and features a king bed. 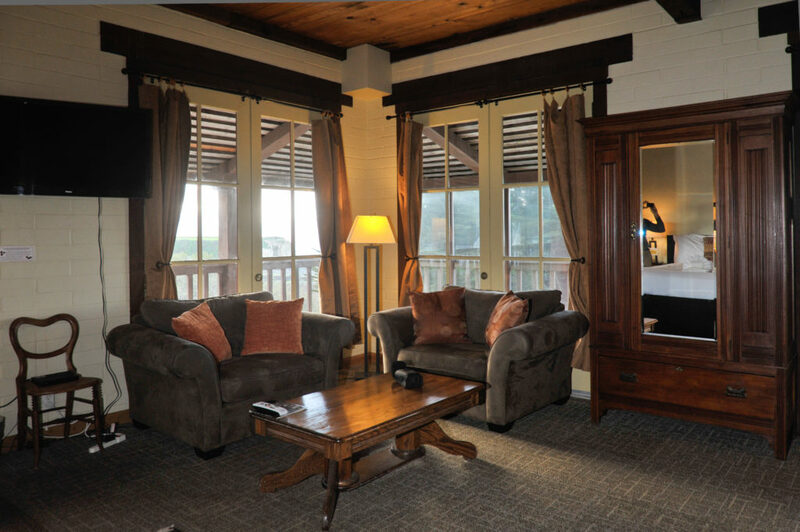 There is a cozy seating area available as well as a small table and chairs for reading, eating or relaxing.